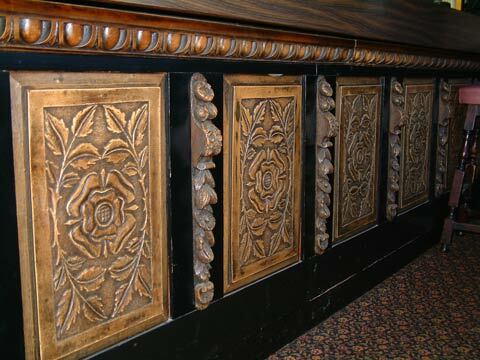 The Shakespeare Hotel is a public house located at Theatre ope, Devonport. PL1 4HT. The image above was taken in 2002. In July 2004, 21 persons from the pub walked 18 miles in aid of cancer, raising more than £2,200. They walked around Kingsand, Cawsand, Rame Head, Whitsand Bay, then back to Torpoint Via Antony. The funds went to St Lukes Macmillan fund. Later in November 2004 another event took place, also in aid of St Lukes; this was a set of eight races sponsored by local businesses, which raised £525. In March 2005 a race night was held, together with raffles and refreshements, also for St Lukes cancer relief. In 2006 a summer charity event raised £460; this went to the Marie Curie fund. 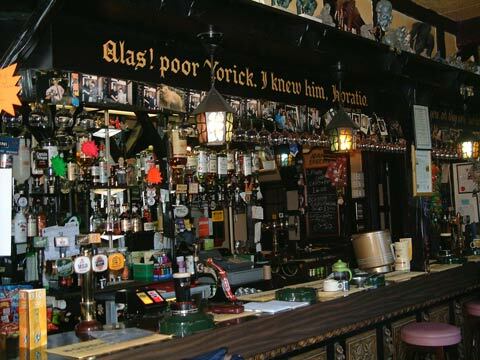 In recognition of their fund-raising efforts the pub won the regional fund-raising category of Avebury Taverns 'pub of the year' award in 2005. The pub has continued to hold simlar events every year, with regular articles in the local newspaper and details of the amount raised. 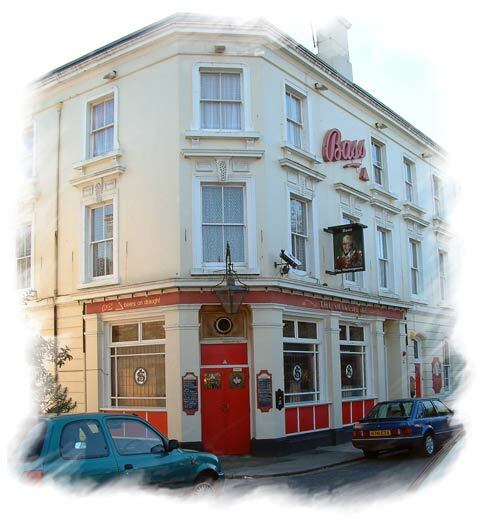 The Shakespeare, like all the remaining pubs in Devonport, offers a traditional type of service. Home cooked food is served in the mid-day period and between 7pm – 8pm evenings. There is a big television screen showing Sky Sports including Premiership football. A wide range of beers /spirits / wines is served. And for Plymouth Albion Rugby Club supporters this is the nearest place of refreshment. The telephone number at 2011 is 01752 558061. 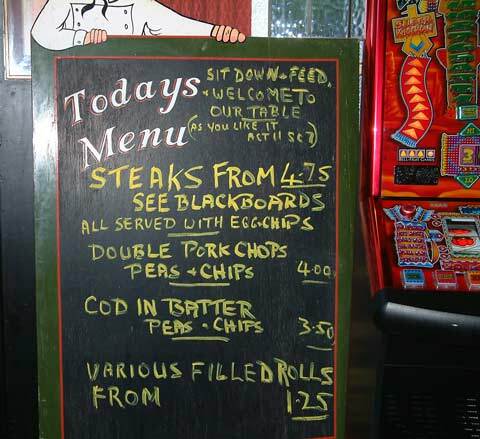 A photo of the menu at 2001 - it may be very different now, at 2011. 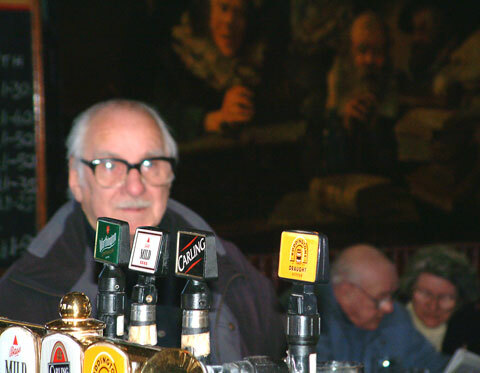 The customer at the bar in this late 2001 photo is John Trayno (sp. Traynor?). He is from Scotland but has lived in Devonport since 1937. But look what is on the wall in the background. It's an original, and very large, painting by Robert Lenkiewicz, titled 'The Alchemist'. The Alchemist was sold a few months after this photo was taken; a local collector bought bought it for £18,000 at the auction on 30 April 2002, held at Rendells of Ashburton. Articles various from Plymouth local newspaper The Herald.